Love it or hate it, the original LG G Flex sure did create some buzz. The second version of the phone appears to be an improvement in just about every way, but LG doesn't seem to be content with flagship-style offerings. 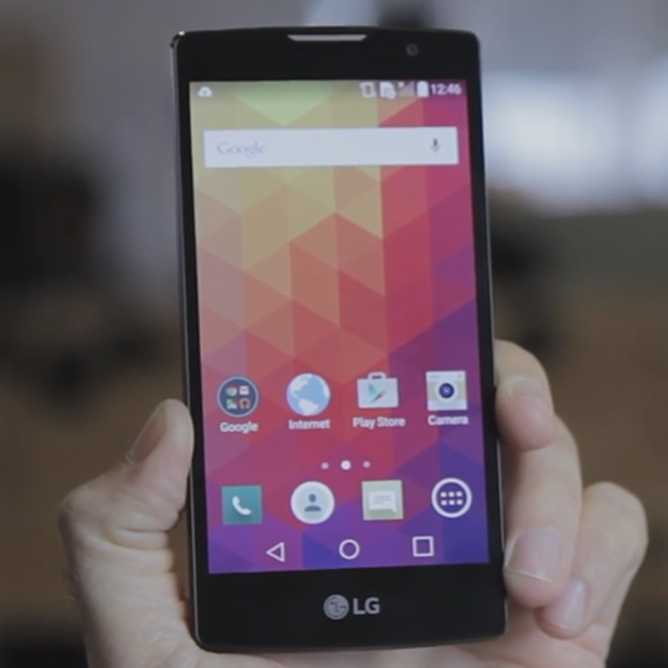 Three UK just announced that it will carry the LG Spirit 4G starting in June. This decidedly mid-range device also has a curved screen, and... well, that's about the only interesting thing aside from Lollipop software at launch. Before you get too excited, Three's promotional video (the sole source of information on the phone so far) doesn't mention flexibility at all, so this phone probably won't bend or heal like the G Flex series. The curved glass covers a standard LCD screen, so presumably the panel itself is straight, more or less like the old Nexus S and Galaxy Nexus designs from Samsung. It's a 4.7-inch 720p IPS panel, and underneath is a Qualcomm Snapdragon 410 processor, just 1GB of RAM, a 2,100mAh battery, an 8MP camera, and a MicroSD card slot. More detailed specs haven't been given, but it will run Android 5.0.1 (plus LG's skin) at launch. Pricing is not available at this time, though Three says it's "affordable." The physical design is pretty safe for LG. Aside from the "curved" screen and rear-mounted buttons it's not all that intriguing, though I'm happy to see that LG is sticking to soft navigation buttons (with a standard layout, no less!). The phone is surprisingly thick at 9.95mm, even with a relatively small battery. This could be an indication of LG's mid-range and low-end design language for the rest of this year, or it could simply be a one-off. We'll see if the Spirit (or similar variants) come to other markets.